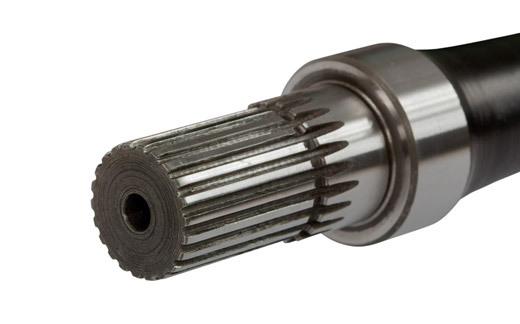 As a premier spline shaft manufacturer, Tracey Gear & Precision Shaft has the sophisticated machinery, capacity and fully trained employees, to produce all of your standard and custom spline shaft needs. We have a capacity up to 56'' long. Our spline shafts are manufactured for long term use and conform to international standards. Our quality raw materials such as steel, stainless, bronze, aluminum and competitive pricing provide the best value in today’s market. We are nationally recognized as a spline shaft manufacturer for industrial applications, aircraft and automobile industries. Our company is an ISO 9001 certified one stop location, for all of your gear and spline shaft needs.